Yesterday I and my cooking colleagues, plus my instructor again, was at the Pot Spoon Throw Down. Remember last week we were at Lopinot? 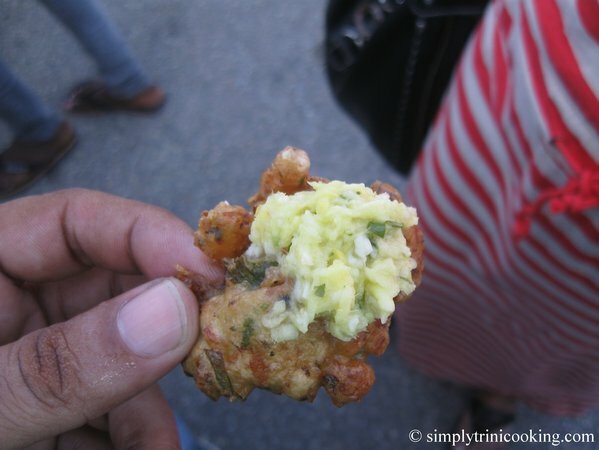 Well this time it was held at Mayaro, the theme for this competition being “Seafood and Coconut”. 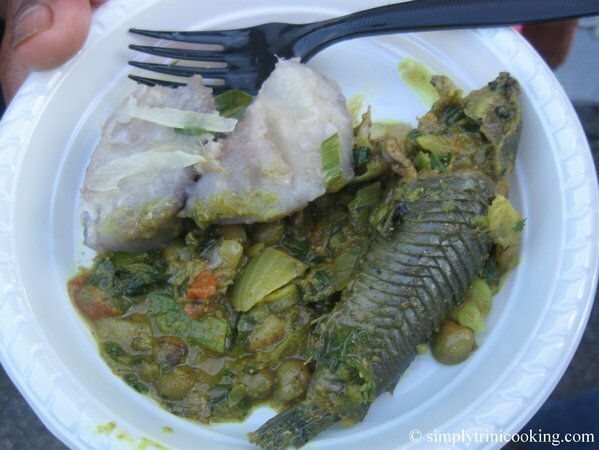 The teams had to come up with a dish that comprised of any seafood and coconut combination. But, before I reach there yuh know I like to give allyuh the story ….. 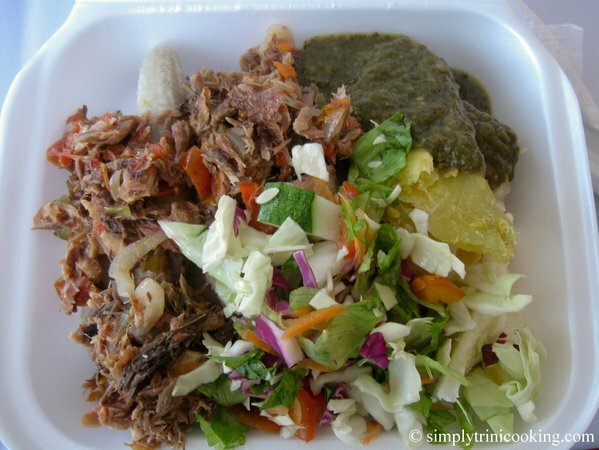 This time my car was full because after we talked in class about how nice the Pot Spoon Throw Down was at Lopinot some of our cooking classmates wanted to go down with us to Mayaro. Well it was a lime no one wanted miss. After picking up everyone along the way we started our journey to Mayaro. That was ah drive and 3/4 ……ah cyah say ah half because it was real drive..….Yuh boy had to drive from Maracas Valley to Mayaro. Now if you have a map you could trace it and see how far I had to drive, but nevertheless I managed to get everyone to and from safely save for the two “relieving” stops I had to make lol! The smoked fish was a hit. It has been some time since I had smoked fish. I remember making it with my father as a boy using Sapate. Looks like a post to do for you all. After lunch, I spent time at the demo kitchen where there were chefs doing some wonderful dishes. Of course I had to be in it all to get some pictures and do some tasting myself. A scrumptious Stuffed Curry Cascadoo from the Demo Kitchen. My plate of stuffed curry cascadoo and sauteed dasheen. 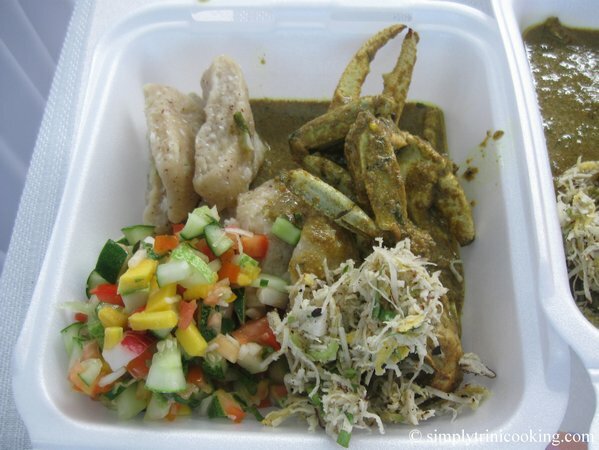 Plaisance Curry Crab, Mayaro Coconut Dumplings, Point Radix Salad and Coconut Chutney. Of course the album is on my fanpage for your perusal. Click here to read all about the Pot Spoon Throw Down in Lopinot. 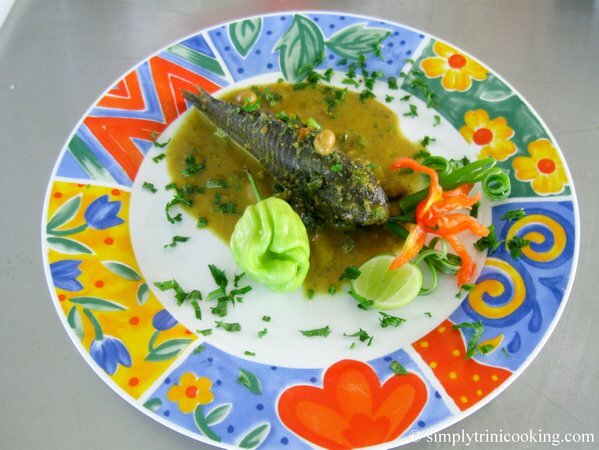 Mayaro representing…Oh gosh I missing my home town….looks delicious. I want the recipe for the winning entry !! Pleease , Please, Please !!! Hi Felix you need to put a share on Facebook button on your articles and recipes. This is great stuff. That’s coming up soon. Just have to activate the plugins. I stumbled over here by a different web page and thought I should check things out. I like what I see so I’m following you now. Look forward to checking out your site again. same niche as yours and my users would genuinely benefit from some of the information you present here.